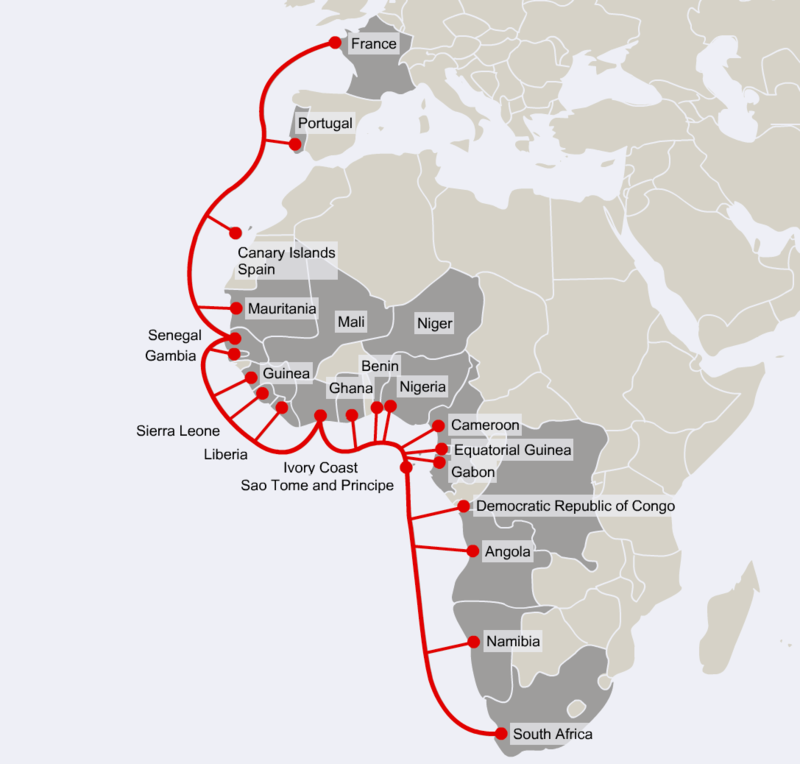 The ACE (African Coast to Europe) submarine cable that runs along the west coast of Africa between France and South Africa (connecting 22 countries), was damaged on March 30. Reports of problems started appearing in social media over the next several days with 10 of the 22 countries having significant disruptions. David Belson, Oracle's Sr. Director, Internet Research & Analysis, reported today: "While the disruption begins at the same time across all six countries, it is interesting to note that the duration and severity of impact varied widely. The most significant, and longest-lasting disruption was seen in Mauritania, with a complete outage lasting for nearly 48 hours, followed by partial restoration of connectivity. Sierra Leone also saw a significant impact as a result of the cable cut, followed by a complete outage on April 1. However, we believe that the April 1 outage may have been government-directed, related to recent national elections. The differences in duration and severity may be related to the other international Internet connections, via terrestrial cable or satellite, that the providers in these countries have in place, resulting in varying levels of reliance on the ACE cable system." Local Time: Thursday, April 25, 2019 10:57 AM PDT – Page Load: 0.2368 Sec.